These relaxed concerts take place on summer afternoons as the sun sets across Sydney Harbour, and last around 90 minutes. 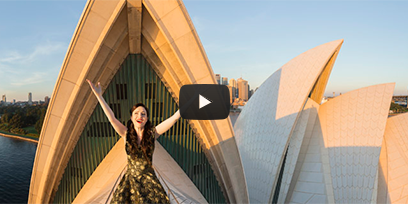 Listen to famous arias from Bizet, Puccini, Rossini, Verdi and more performed by some of Opera Australia’s finest opera singers, accompanied by piano. Time of Day Any5:00 p.m.7:30 p.m.
Sunday 7 July 2019, 5:00 p.m.
Sunday 14 July 2019, 5:00 p.m.
Sunday 21 July 2019, 5:00 p.m.
Sunday 28 July 2019, 5:00 p.m.
Sunday 4 August 2019, 5:00 p.m.
Monday 5 August 2019, 5:00 p.m.
Thursday 8 August 2019, 5:00 p.m.
Friday 9 August 2019, 7:30 p.m.
Monday 26 August 2019, 7:30 p.m.
Monday 2 September 2019, 7:30 p.m.
Monday 9 September 2019, 7:30 p.m.
Monday 16 September 2019, 7:30 p.m.
Monday 23 September 2019, 7:30 p.m.
Monday 30 September 2019, 5:00 p.m.
Sunday 20 October 2019, 5:00 p.m.
Sunday 27 October 2019, 5:00 p.m.